Writer/director Paolo Sorrentino (This Must Be the Place, The Great Beauty) has been a darling of the Cannes Film Festival for the past decade or so, seemingly having a movie in the running for the Palme d’Or (the highest honor at Cannes) every other year. This year was no exception, with Sorrentino’s second English language feature film, a quirky little art film called Youth, premiering at the 2015 festival. Youth is made up of a collection of stories that center around the visitors of a posh resort in the Swiss Alps. One of the vacationers is Fred Ballinger (Michael Caine from The Dark Knight Rises and Dressed to Kill), a semi-famous composer who, although he has done brilliant work, is most known for a silly set of pop classical compositions called the “Simple Songs.” His lifelong friend, filmmaker Mick Boyle (Harvey Keitel from Reservoir Dogs and The Grand Budapest Hotel), is there, too, along with a small team of young writers working on what will be his big comeback movie. Also present is Jimmy Tree (Love & Mercy‘s Paul Dano), a famous actor who, like Fred, is a huge talent, but is most recognized for a stupid role he played in his past as a robot named “Mister Q.” Fred’s daughter, Lena (Oz the Great and Powerful‘s Rachel Weisz), who happens to also be his assistant, is at the resort as well, busy lamenting over her failed marriage to Mick’s son, Julian (Ed Stoppard from The Pianist), who has left Lena for pop singer Paloma Faith (playing herself). There’s also an enigmatic South American man (Roly Serrano from The Little Polish) and his wife (Black Angel‘s Loredana Cannata), a nerdy little masseuse (Traumland‘s Lena Mijovic), and a Miss Universe contestant (Madalina Ghenea from Dom Hemingway). Oh, and Jane Fonda (On Golden Pond, Nine to Five) shows up in a small supporting role as an aging actress upon whom Mick is counting to star in his new film. That’s the basic rundown of the characters who populate Youth. Although it seems as if it might be an anthology film, Youth is actually one very coherent and singular movie. Each character has his or her own story, and while they never really weave together as seamlessly as the audience wants and expects them to, they do intersect and exist within the same universe. The common theme that ties all of the characters and their situations together is, predictably enough, youth; Fred, Mick, and the mysterious South American man represent the relentless ticking of the clock while characters like Jimmy and Miss Universe provide reminders of vitality and vigor. Youth makes Father Time the antagonist for both the aging and the youthful characters, with the real struggle of the film being about the process of aging, whether the characters are growing old gracefully or fighting it every step of the way. Youth is a typical art film. It’s a joy to look at, a real visual treat for the eyes. The acting is also very capable and, in some cases, exceptional. 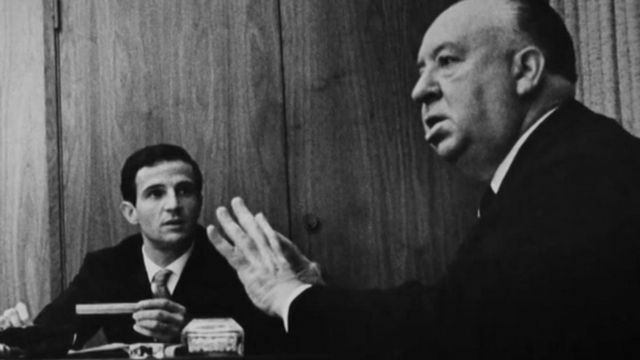 Additionally, it’s full of tangents and non sequiturs that, while somewhat derailing, are still very intriguing; scenes of Fred conducting the sounds of nature on a hillside or Mick being visited by visions of his past leading ladies make for good artistic and abstract cinema, delivering some of the more affecting moments of the film. Story-wise, Youth is a bit convoluted and frustrating because none of the individual plotlines provide a satisfying closure, so there is little sense of finality when the film ends. This breakdown in narrative structure is a bit unsettling, but art film audiences will be used to that. Youth may lose some viewers, but the ones that get lost are the ones that the film probably didn’t want in the first place. The most instantly striking thing about Youth is the sheer aesthetic beauty of the film. 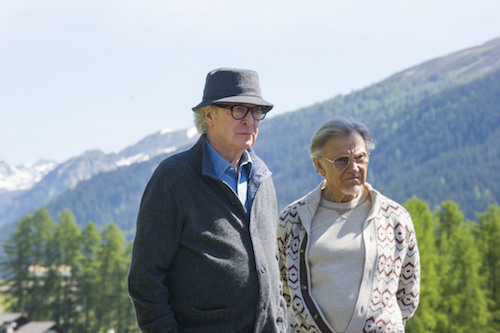 The movie is shot on location at a resort in the Swiss Alps by Sorrentino’s regular cinematographer Luca Bigazzi, and its images are absolutely breathtaking. Like other movies such as By the Sea and Land Ho!, Youth serves almost as a tourist advertisement for the area; by the end, the audience wants badly to visit the location. Bigazzi allows the viewer to take in the sights with plenty of long takes and wide shots that distract the audience during some of the less-consistent sections. What Youth lacks in narrative structure and story is more than compensated for with the pure natural wonder of the environment. If the story doesn’t satisfy, the scenic beauty of the film will. Music is an integral element of Youth, and not just because one of the lead characters is a prominent composer. Of course, Fred’s most famous composition, “Simple Song #3,” does factor in to the film (with a performance by Grammy winning soprano Sumi Jo), but that just scratches the surface. Youth has plenty of great music, including a couple of songs from singer Mark Kozelek as well as an additional tune from his band, Sun Kil Moon. There are also songs from artists as varied as David Byrne and Godspeed You! Black Emperor. Much of the music in the film is diegetic, with a few songs included a band that plays at the resort called The Retrosettes Sister Band and a tune from Paloma Faith that goes along with her cameo. The film’s soundtrack is rounded out by plenty of choice classical cuts from the likes of Debussy and Stravinsky and, of course, the rich cinematic score from David Lang (Requiem for a Dream). It’s a fairly eclectic mix of music, but it is one of the most memorable aspects of the movie.